Zombies in the Academy taps into the current popular fascination with zombies and brings together scholars from a range of fields, including cultural and communication studies, sociology, film studies, and education, to give a critical account of the political, cultural, and pedagogical state of the university through the metaphor of zombiedom. 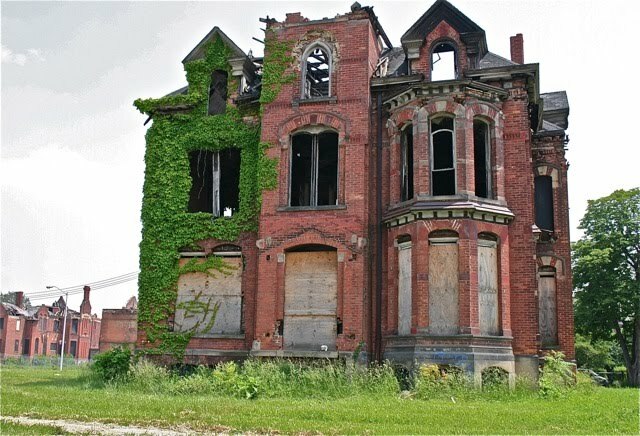 The contributions to this volume argue that the increasing corporatization of the academy—an environment emphasizing publication, narrow research, and the vulnerability of the tenure system— is creating a crisis in higher education best understood through the language of zombie culture—the undead, contagion, and plague, among others. 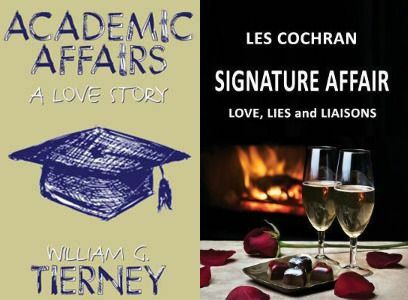 Zombies in the Academy presents essays from a variety of scholars and creative writers who present an engaging and entertaining appeal for serious recognition of the conditions of contemporary humanities teaching, culture, and labor practices. Really looks good and the ideal book for reading on the beach this summer. 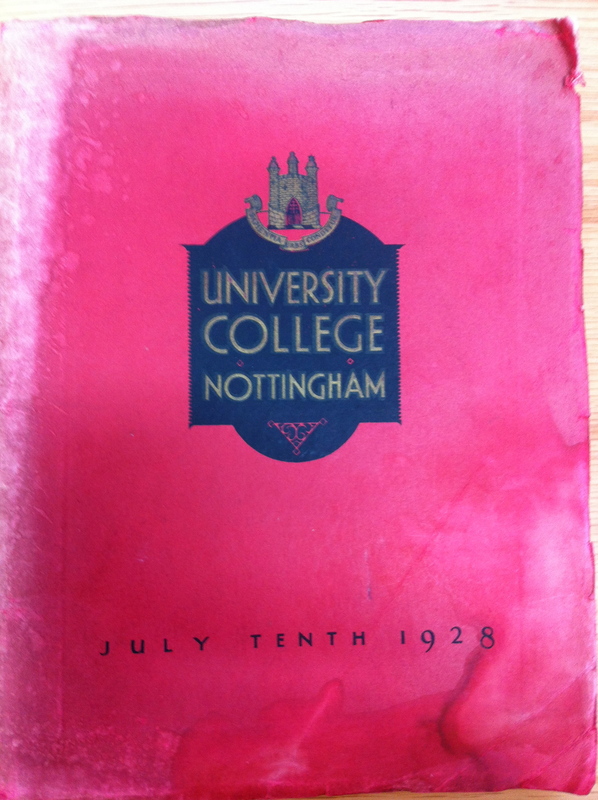 The office recently received a copy of this commemorative brochure from the opening of the Trent Building of what was then University College Nottingham. 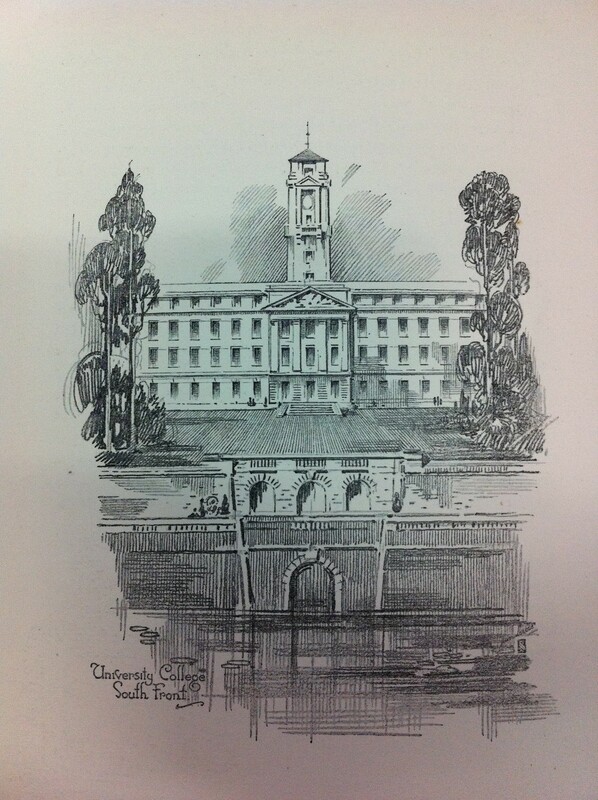 The booklet contains a set of line drawings of the Trent Building together with a detailed and somewhat florid commentary by the then Vice-Principal of the College, Frank Granger. 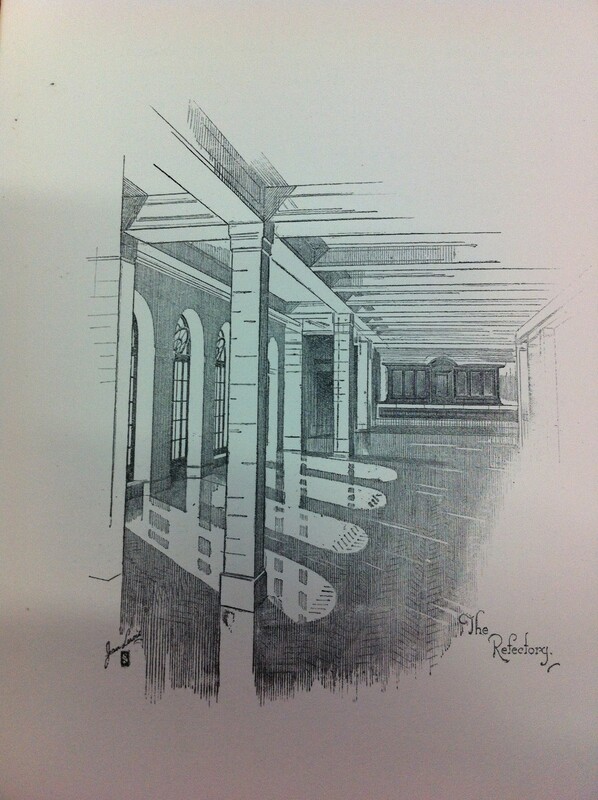 The next plaisaunce to the Refectory is the Women’s Common Room. Then there is the Combination Room, which is a suitable name because the staff will meet there in the leisure moments they spend amid their work. There they will discuss the points of contact of their several disciplines. It is expected that the meetings will sometimes be in secret, and continue the College tradition of secret societies. I like it partly for its references to leisure time and the sadly discontinued secret societies (although if they were still in existence then I guess I wouldn’t know as they would, of course, be secret) but mainly because of the idea that interdisciplinarity should be encouraged was part of the building design. Combination Room may be a slightly odd title but the principle was a thoroughly sound one and still valid today. 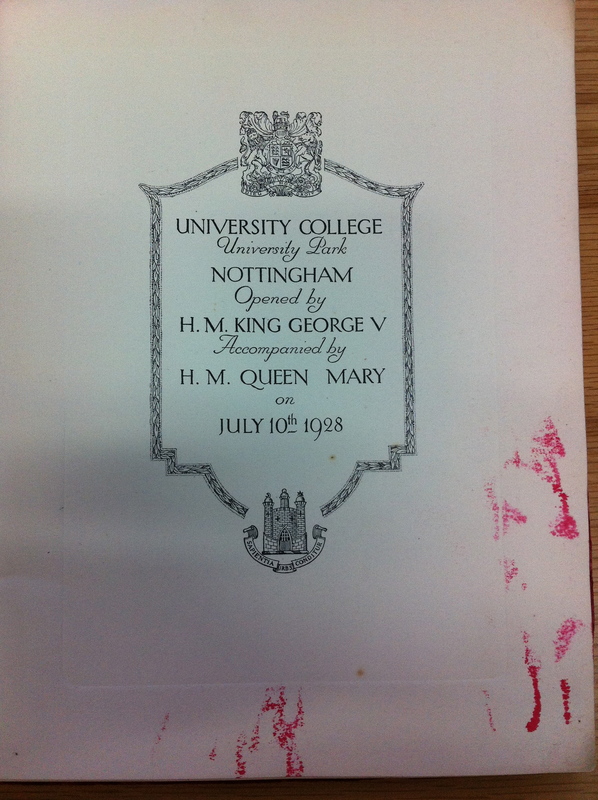 The best book ever written about university life? A reminder about or introduction to a brief and essential piece of reading for everyone working in higher education. The almost timeless (well, apart from the fact it only features blokes and has an ever so slightly Oxbridge feel) Microcosmographia Academica is of course the essential text for all those with a keen interest in academic politics and university management. Read it. Now. You know it makes sense. Review of fascinating new work in University World News. Research universities should be led by brilliant scholars and not merely talented managers, says Warwick University fellow Amanda Goodall. It is not sufficient for leaders to have management skills alone, Goodall states in a new book. In Socrates in the Boardroom: why research universities should be led by top scholars, Goodall challenges the orthodoxy of “managerialism” which began in the Thatcher era and continued during the Blair decade. Using a mix of empirical research of 100 universities and interviews with 26 of their leaders in the UK and the US, she concludes that institutions led by highly regarded academics perform better. Goodall gives four reasons why leaders should be able scholars. They are more credible to academic colleagues and appear more legitimate which, in turn, extends a leader’s power and influence. A top scholar provides a leader with a deep understanding and expert knowledge about the core business of universities which informs decision-making and strategic priorities. The leader sets the quality threshold: “The standard bearer has first set the standard that is to be enforced.” Finally, she says a leader who is a researcher sends a signal to the faculty that he or she shares their scholarly values, and that research success is important to the institution. It also transmits an external signal to potential job candidates, donors, alumni and students. 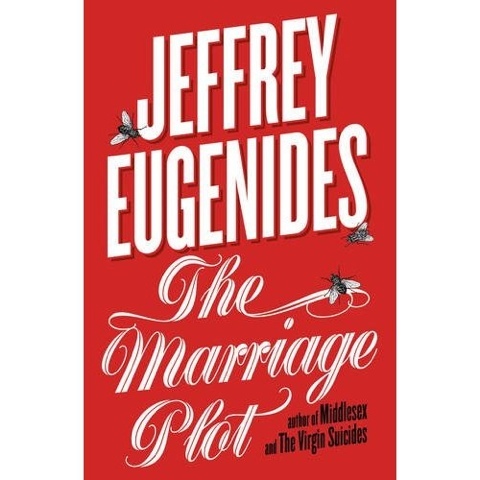 Have bought a copy now and look forward to reading it!